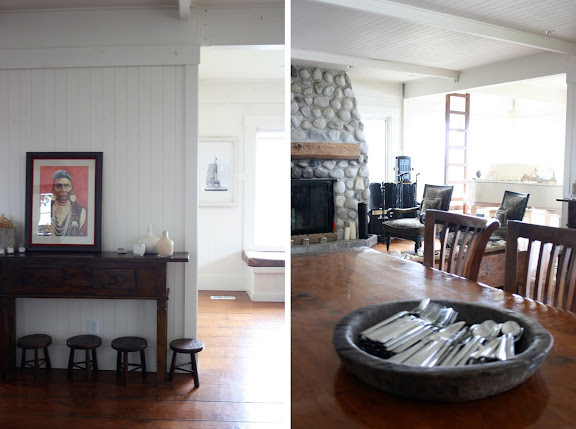 When I first stepped into this week's "real life home", I was immediately taken with its casual elegance. The creamy whites and warm woods create a cozy atmosphere that's both welcoming and stylish. And since our own renovation, I am a sucker for a good project, and this is surely one. "Less is more. Keep things simple. 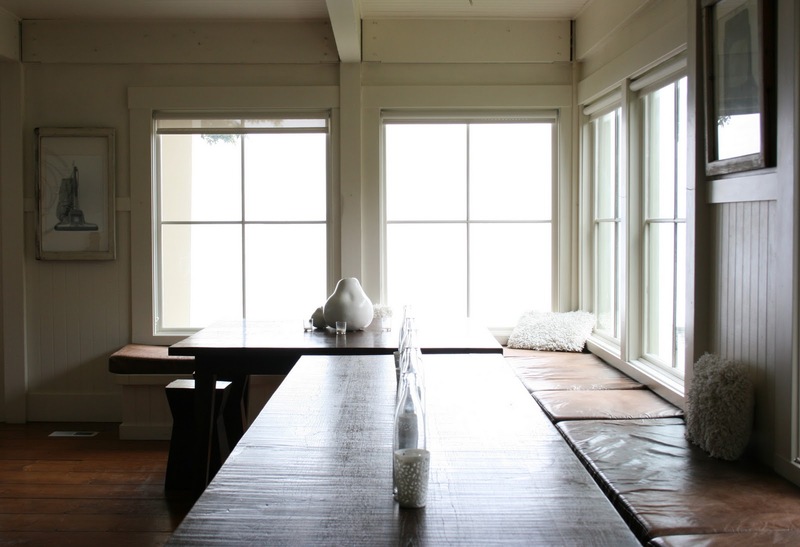 If a room is washed in a neutral color, it is more restful for the eye--and a home should be restful. Then, if you accessorize the room with one colorful item, whether it be a child's painting or a glass Chihuly, the visuals sing." 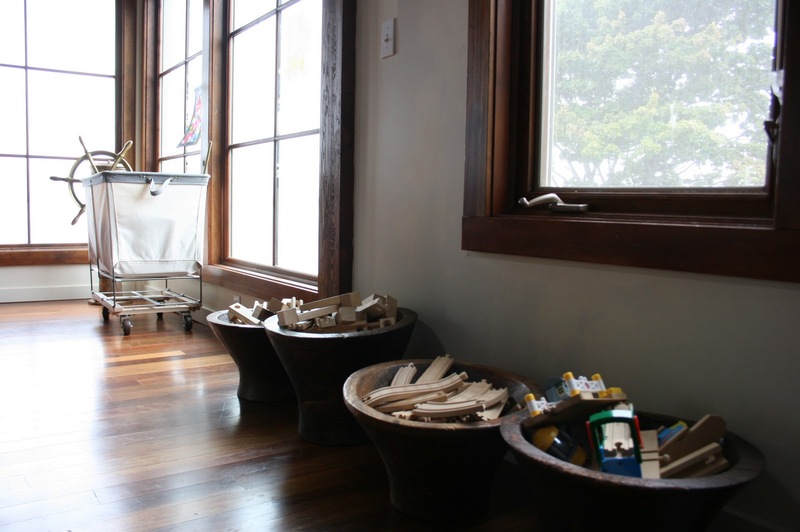 Rick's wife Julie also consulted the book, "The Art of Imperfection" while renovating the home. She kept it on her nightstand as inspiration, as a reminder to not make anything too precious. Julie also wanted to make the home look like it had been there forever (it has almost been a century! 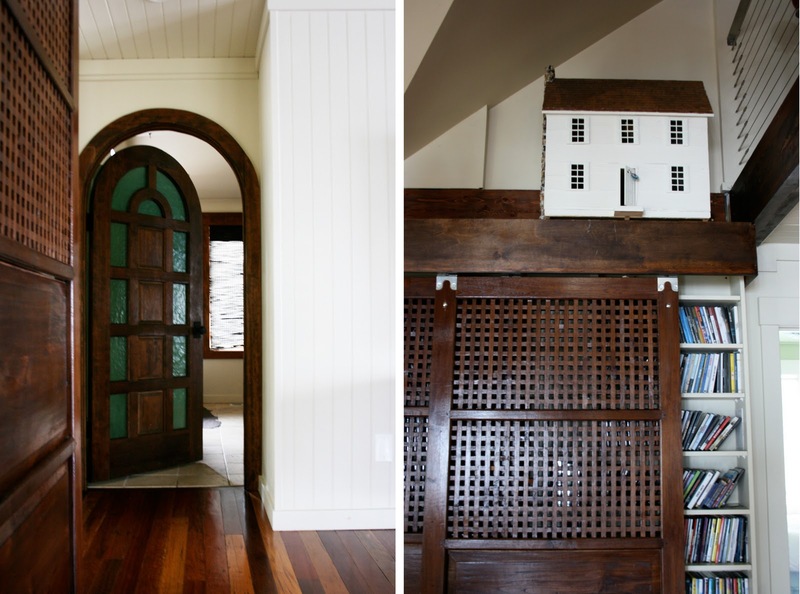 ), so they worked with the home's good bones already in place. The homeowners also wanted to avoid anything that might appear in a model home so filling it with unique pieces was at the top of the list. In an effort to preserve the look of the home, stay within budget, and be eco-friendly, Rick and Julie used many reclaimed materials during the renovation. 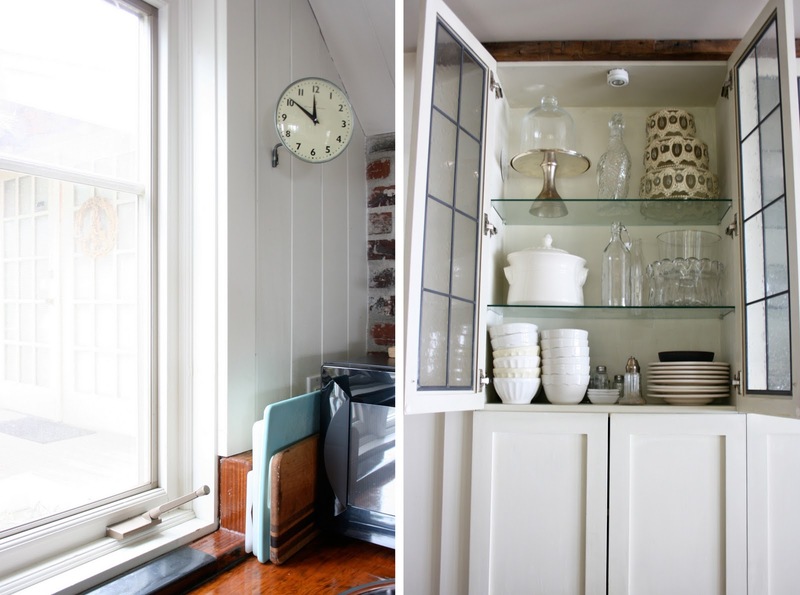 The bricks in the kitchen came from an old schoolhouse in Oregon; the beams are from an 18th century farmhouse in Pennsylvania; and the kitchen counters are old boat hatch covers with a marine finish. I have to admit I would've never, ever thought of using the latter in my kitchen. So creative, right? This is a beautiful home for entertaining with ample seating, gorgeous light, and views. In the kitchen I appreciate the silverware placed in a bowl on the counter. It makes me want to rethink the whole silverware drawer gig I have goin' on. Sometimes it's the small details that make the most impact. I realized in our last home that a formal dining room wasn't my thing, so I very much appreciate this "dining room". 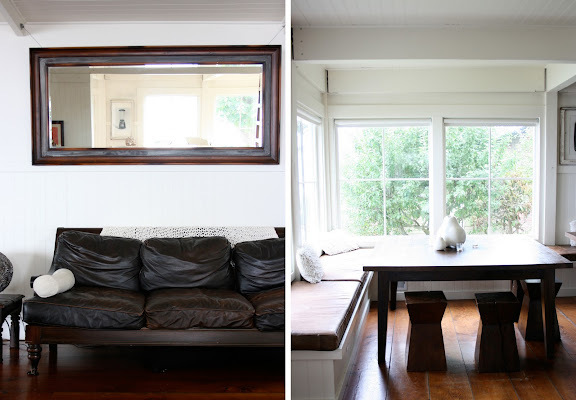 Tons of space, lots of texture, and banquette seating epitomize the casual elegance I referred to earlier in this post. I love it! A tiny guesthouse next the main home...and will you look at that--trains in the backyard! How many of our sons would be in heaven? 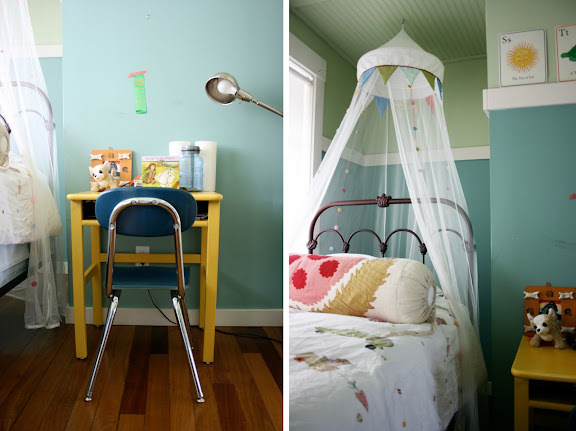 The pops of color in one of the children's rooms are pure sunshine. 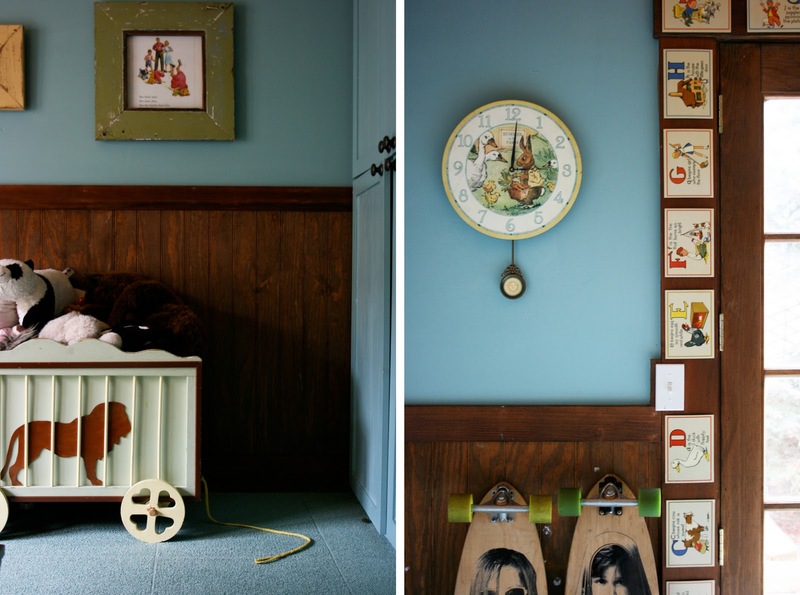 It's such a delight to peek into a child's bedroom, don't you think? 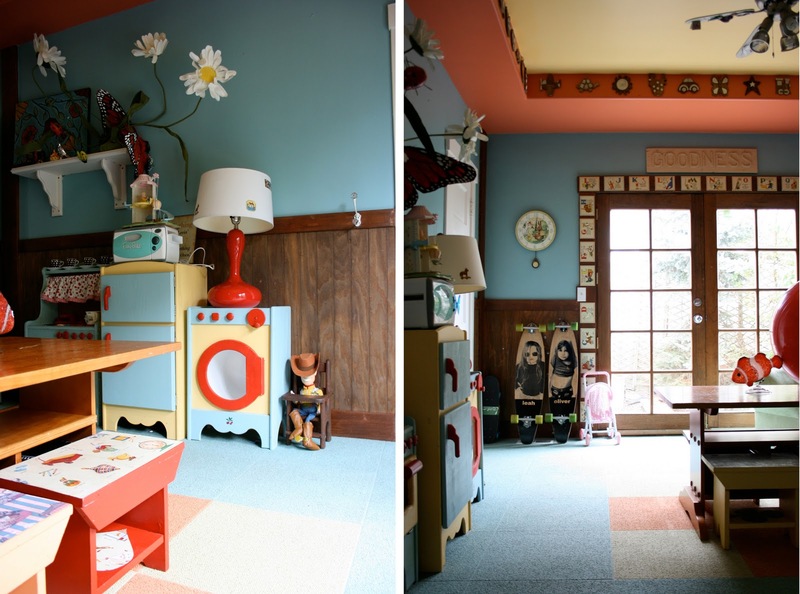 I love that ribbon taped to the wall, the vintage desk and the alphabet cards lining the top of the molding. 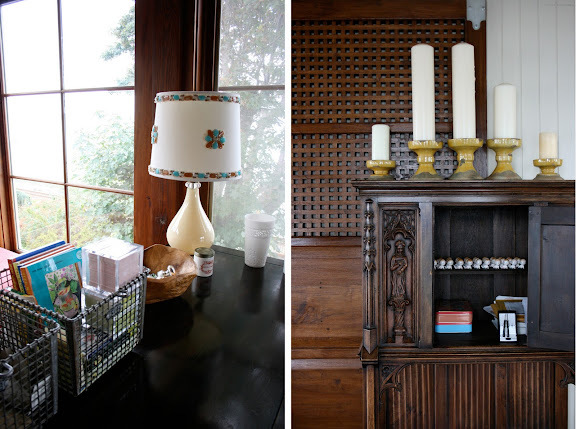 Many more gorgeous images of this home after the jump (since this post is so image heavy, I'm going to break it up a bit for you)...just click on "read more" to see what the rest of the home looks like! More gorgeous, saturated color in the playroom...aren't those paper flowers amazing? My favorite part of Julie's office is the vintage sign on the side of her desk. 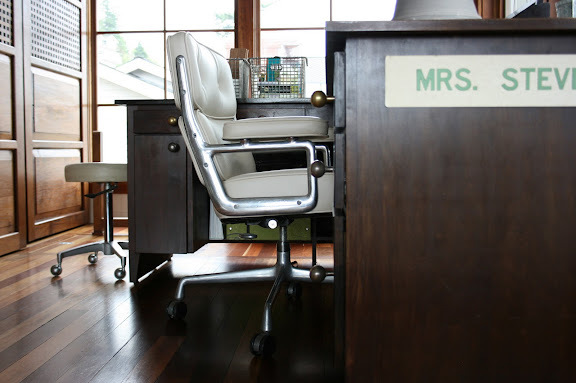 Originally the nameplate of her mother-in-law (she was a teacher in the 1960's), it now marks her personal workspace as they share the same name. A reminder that kids often play alongside Mom and Dad as they try to work from home. Julie likes to dish out small doses of surprise and humor throughout--just to keep things lively. If you look carefully, you'll note 48 plastic babies lined up like an army in the cabinet below right. You're probably thinking, "what the heck? ", and that is precisely what she wants you to do! More reclaimed eucalyptus and a dollhouse I that I just adore (it's my New England childhood shining through...). Is it just me or does everyone dream of having a library in their living space, complete with a ladder. 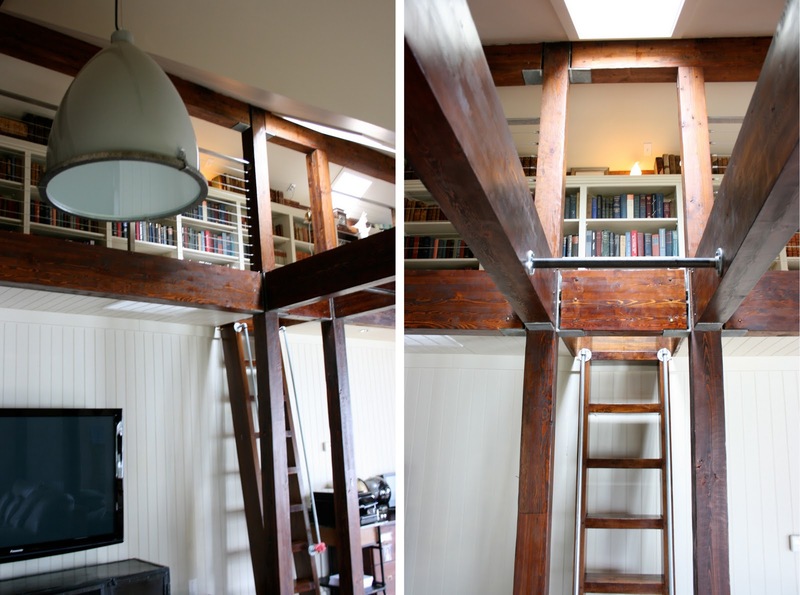 This is such a great use of otherwise dead space. I love it! Another interesting tidbit about this "real life home"...the home was actually remodeled using the Kes system, a Japanese building system utilizing metal plates and timber joints which are supposed to ensure the structure can withstand natural disasters. 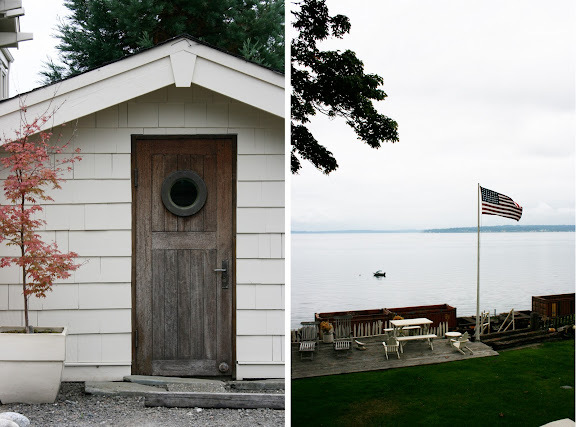 We all hope they will never have to put the system to the test, but since the home is situated on a hill overlooking the Puget Sound, it never hurts to be prepared for the worst! Wow, another gourgeous home. Especially lie the kids space coloring. Beautiful! 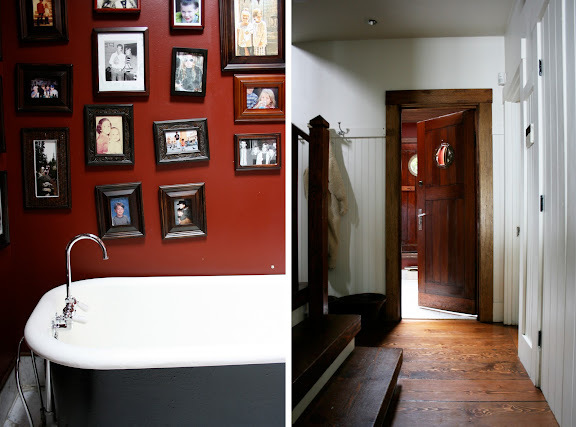 My favourites are the dining room, the red wall with pictures in the bathroom and the library. Thanks for sharing! the LIBRARY!! what a gorgeous house. it looks like such a lovely place to really live! Beautifully done. I am a lucky one who gets to call this house her "office". It is even better in person but these pictures are amazing! I also feel lucky to have visited this home in real life. Walking through ignites pure inspiration. It truly is breathtaking. P.S. I love the army of vintage baby dolls too. Fun fact: They were originally used as cake toppers on individual banana puddings at the baby shower I attended. THE most beautiful baby shower I've ever seen. It looks like such a lovely place to really live... THE most beautiful baby shower I've ever seen. Thanks for sharing your insights! Gorgeous! I love your pictures. 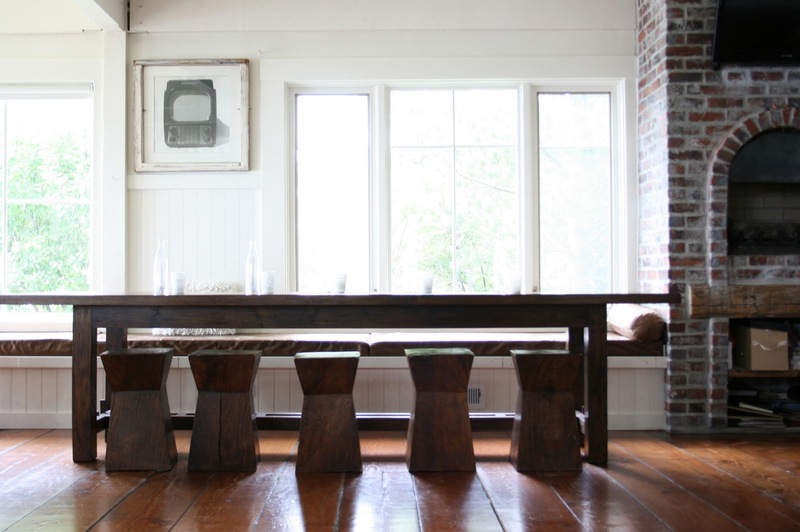 Such a beautiful dining room!